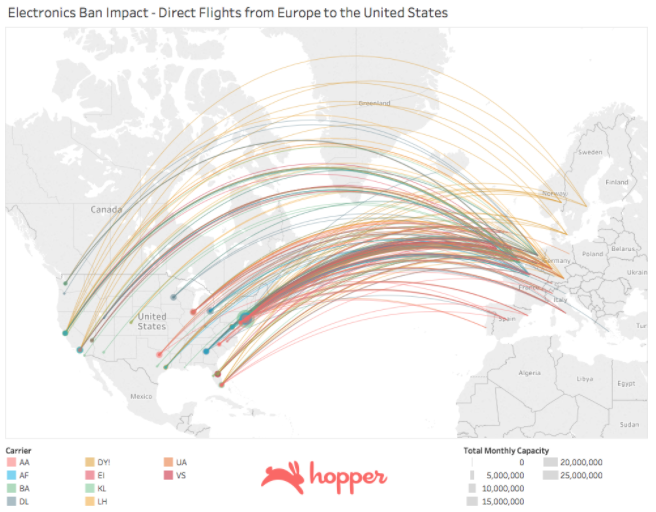 An electronics ban on trans-Atlantic flights to the United States from Europe would impact a significant amount of flight traffic, including routes with large volumes of lucrative business travelers.To fully understand what the impact of a trans-Atlantic electronics ban, our team analyzed flight and capacity data for all carriers serving international routes from Europe to the United States. 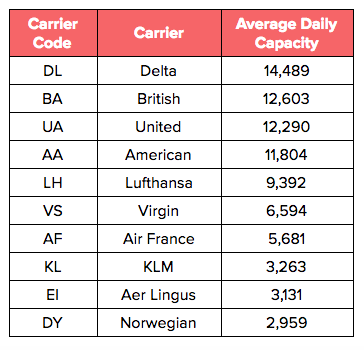 To give an estimate of how many travelers this could impact, we found there's a total of 105,000 seats that fly from Europe to the United States each day, including 15,000 business and first class seats. 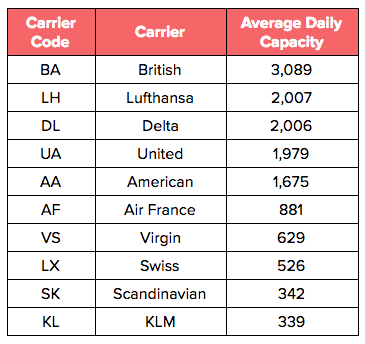 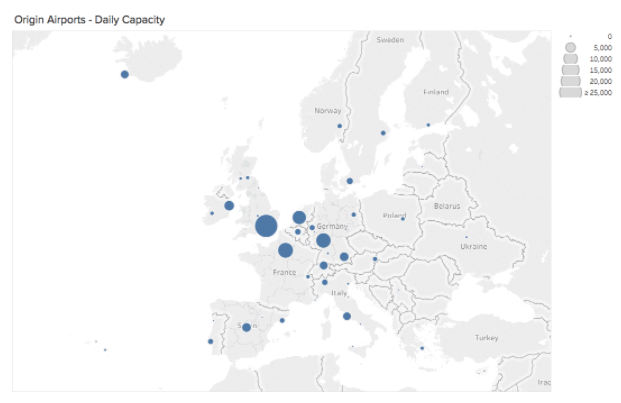 The data presented in this analysis looks at total scheduled seats across all carriers serving international routes from Europe to the United States. 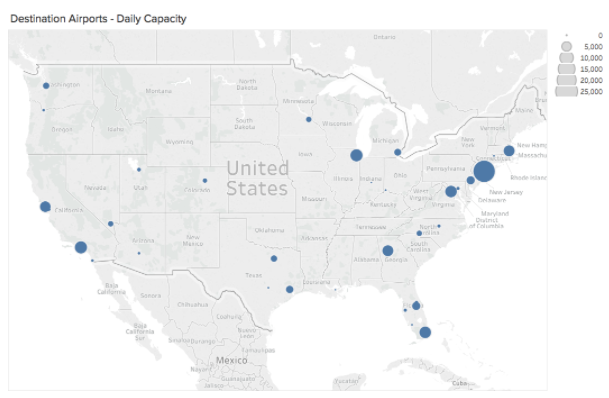 Average daily capacity is calculated by taking the average number of available seats on these routes in the most recent month (April 2017). 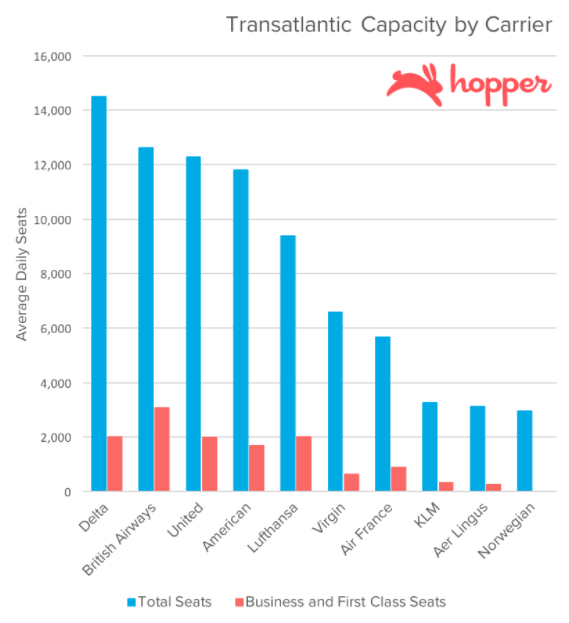 Revenue estimates come from The International Air Transport Association (IATA) which claims in general, business and first class seats account for 8% of international capacity and 25% of airline revenue.